GOAL: Libraries and information centers are constantly changing. One of the drivers of this change is technology. Information Professionals are involved in planning, implementing, and managing technological change so that it best meets user and organizational needs. They need a host of skills and understandings including an understanding of library operations, technological proficiencies, an understanding of human resources development in technological settings, and basic management and planning skills. 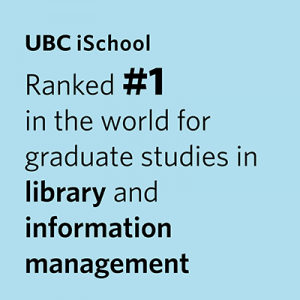 The goal of this course is to provide students with a sound understanding of how libraries apply technology to deliver information by using library automation systems for inventory control and/or bibliographic descriptions of paper-based collections as examples. This course will also examine the transition from closed systems supporting text-only based computing to the technology and systems necessary to support access to open network-based digital (multimedia) collections. Describe and critique the various computer based systems for acquisitions, cataloging, document delivery, circulation, serials control and other library processes by developing professional tools and criteria to the system selection, evaluation, management and use. Analyze and suggest appropriate approaches to managerial and administrative issues concerning the implementation of computer based local systems and their interface with bibliographic utilities and other systems, focusing on their impact on internal operations and human factors. Effectively demonstrate an awareness of the important changing role of librarians and libraries, including the concepts of the library information networks and of networking as in the Internet. Overview of library automation systems. historical context. Systems analysis for library automation: hardware, software, networks. Relevant technical standards. Information technology planning and the relationship to general planning. Information needs for management information systems (MIS); relationship to organizational structure; consideration of client needs; distributed vs integrated systems in large or small libraries. Acquisition of library automation systems: request for proposals; contract negotiation; retrospective conversion. Structure of the library automation industry. Development of Library Networks: internal and external networks; network functions. The digital library. Roles in planning and acquisitions of systems: Library staff, senior management, library systems personnel, other librarians. Vendors. Consultants.